Photo: Frederick Douglass, circa 1860s, courtesy of Picture History/Wikimedia Commons. 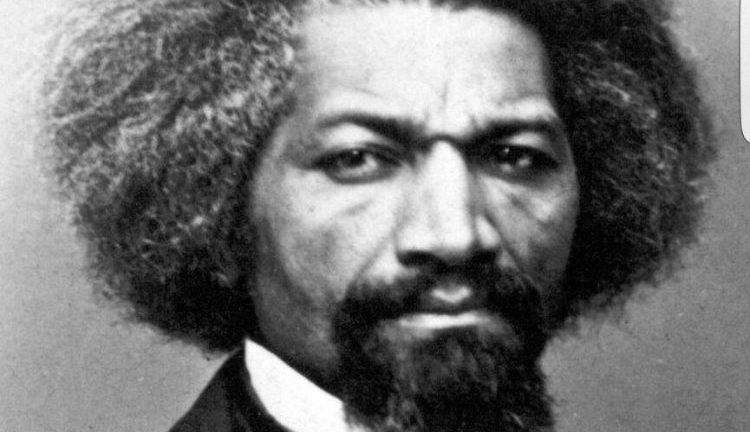 The public quickly took note, wondering if the President was aware that Douglass had died in 1895 at the age of 77. Not to be missed amid the head scratching and jokes is the fact that Douglass continues to be one of the most prolific, influential Americans of our time. In recent months, his work has inspired the publication of two new books, a magazine, and an exhibition of photography and art. 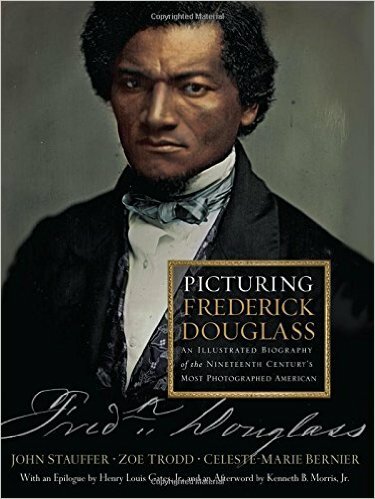 Picturing Frederick Douglass: An Illustrated Biography of the Nineteenth Century’s Most Photographed American by John Stauffer, Zoe Trodd, and Celeste-Marie Barnier (Liveright/W.W. Norton) is a phenomenal compendium of 160 portraits of the legendary social reformer, orator, writer, and statesman. Douglass, better than anyone of his time, understood the power of photography to influence perception and shape minds. Douglass was more than a century ahead of our current times, where the selfie reigns supreme and has the ability to foster public identities. Douglass used his portrait to change the image of the black man in America, to present himself, a former slave, as one of the leading political figures of the time. The book presents a deftly researched collection of work dating from 1841 to 1895, revealing his evolution as a man, an artist, and a leader. 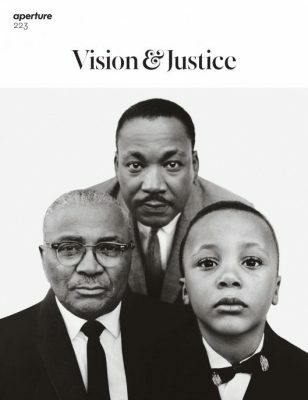 It was Douglass’s gift for photography that inspired Harvard professor Sarah Lewis when she sat down to guest edit “Vision & Justice,” issue 223 of Aperture Magazine, which was also organized as an exhibition on view at Harvard Art Museums, which Crave previously covered. 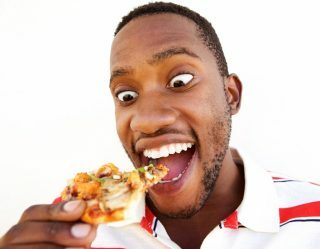 The magazine, which features two covers, one of the three Martin Luther Kings taken by Richard Avedon in 1963, and the other, a portrait by Awol Erizku, who recently shot to fame for photographing Beyoncé’s mystical maternity photographs, has been a bestseller since its summer 2016 release. Picking up the thread where Douglass left off, Lewis brilliantly brings together some of the most important African American photographers of the present and the past including Crave faves Lorna Simpson, Roy DeCarava, Carrie Mae Weems, and Jamel Shabazz. 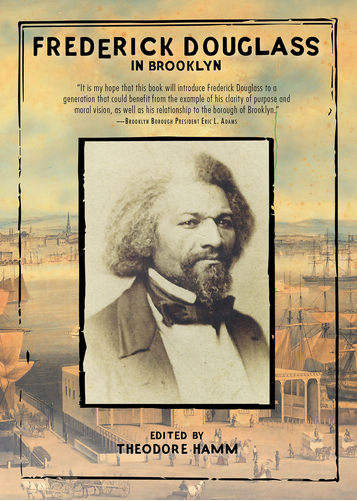 And last but not least are the words of Douglass himself, which have just been released in a new book, Frederick Douglass in Brooklyn, edited by Theodore Hamm (Akashic Books). The book brings together a selection of Douglass’s most important abolitionist speeches given at the Brooklyn Academy of Music, Plymouth Church, and other leading institutions in the County of Kings. The beauty of the book is how fresh his words are, how contemporary his voice sounds, and how resonant the message is. More than a century after his death, Douglass’s message speaks to us, as clear and crisp as the day he gave voice to the fight for human rights in the United States. The book quotes Douglass in “Sources of Danger to the Republic,” from a speech reported by the Brooklyn Eagle newspaper in 1866, in which he warns of the misfortune of over-confidence in the government. We can continue to take him at his word, for here is a man who understood the nation, its people, and its leadership better than most. “I am certainly not here this evening to rudely call in question these very pleasing assumptions of governmental superiority on our part; they are perfectly natural; they are consistent with our natural self-love and our national pride; and when they are not employed, as they too often are, in the bad service of a blind, unreasoning, stubborn conservatism, to shelter old-time abuses and discourage manly criticism, and to defeat the needed measures of amendment, they are comparatively harmless, though we may not always be able to assent to the good taste with which they are urged,” Douglass decreed. Indeed, Douglass is a true patriot, and for this reason it comes as no surprise that his words and images influence the American hearts and minds to such a tremendous degree he continues to guide and shape the public discourse. 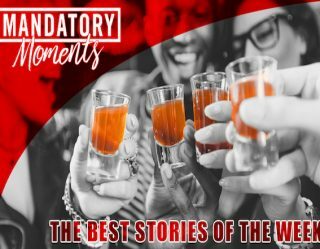 Such recognition is only natural—and timeless.